One of the problems with white is the bleached hair is delicate and often has broken tips on the hide, which is evident in this series. 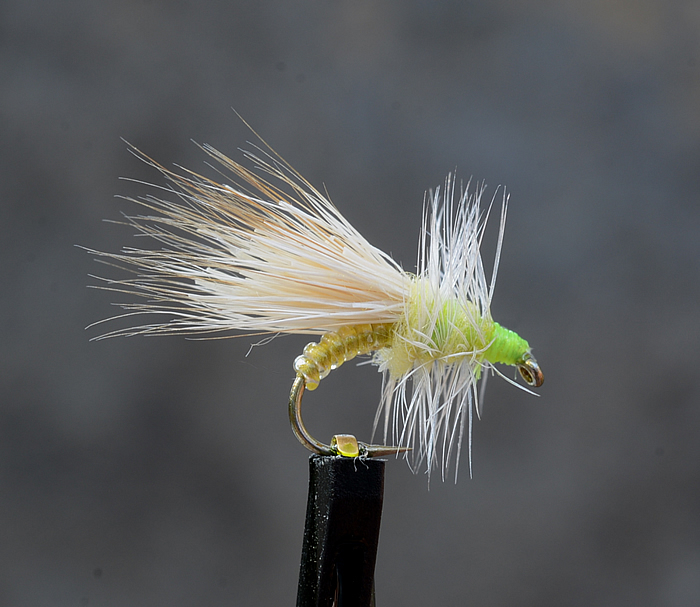 It is a rare find to get a bright white bleached fine hair coastal deer hide suitable for small flies, but I will be searching soon, as my current patch is nearly stripped clean. The broken tips is suitable for a down-wing pattern such as this, but I would not use it for comparaduns. The underside, as seen by the trout. The wing here is a little long, but a little variety in the box is okay in many cases. Though the colour is a better match than the previous post to the natural, I do prefer the deer hair wing on the previous fly. Gr8 looking pattern. I agree with finding bleached deer hair for small patterns. 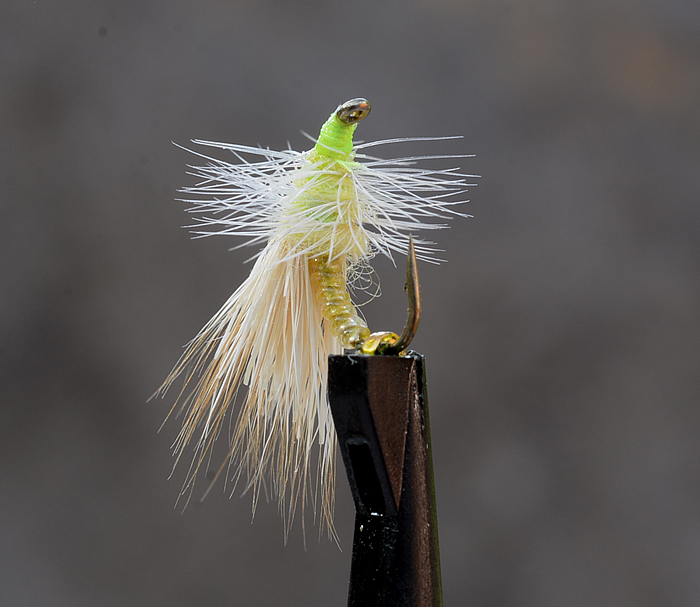 I alos find the same issue on finding coastal deer hair for my size #20 or #22 comparaduns. There needs to be enough flair and fine fibers at the tips of the hair to keep the body from becoming too bulky.